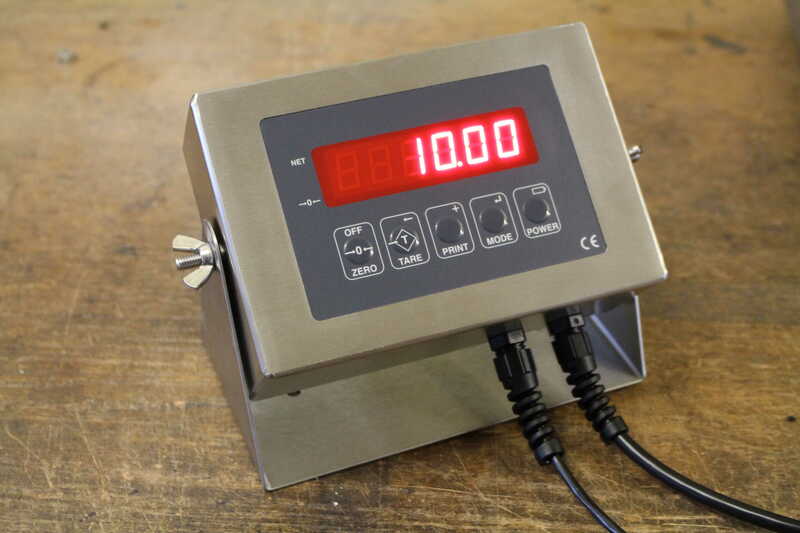 The Junior features a Stainless Steel, sealed enclosure (165mm x 110mm x 60mm) complete with mounting brackets suitable for heavy industrial use. Loaded software includes full range zero, preset tare, tare / tare recall, weigh-count, peak, freeze and silo modes as standard. The Junior can be supplied with the choice of L.E.D. or L.C.D. 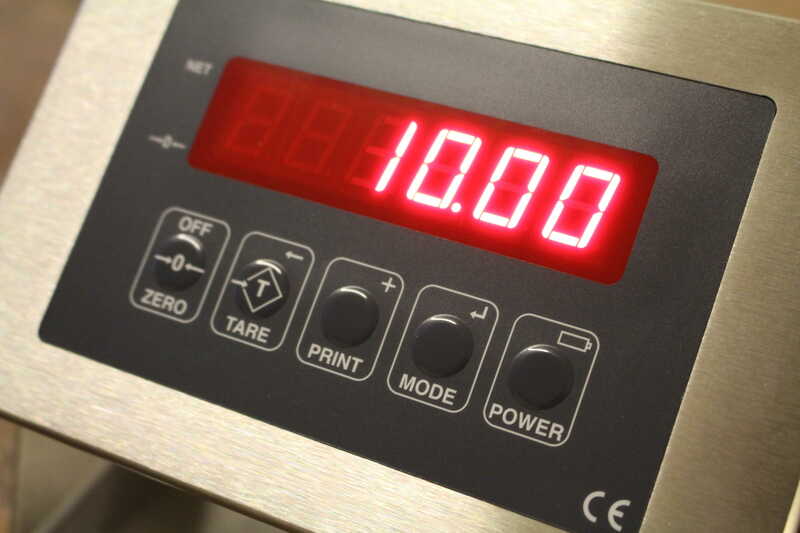 displays and is capable of handling up to 8 load-cells and incorporates a simple calibration routine. The Junior features versatile power options to suit all applications; the unit can be supplied with an internal 110-250VAC SMPS, an internal 2000mAh Ni-Mh battery pack and charger or requiring a basic DC input from either a battery or adaptor. Additional factory fitted options include RS232C to interface to Printers or computers, 4-20mA/0-5vdc/0-10vdc analog outputs for data logging, two opto-isolated relays, time and date, 8k x 8 FRAM memory expansion capability and a second weighing input ideal for left and right axle vehicle applications. The Junior also has 433/900Mhz radio communication capability (POA). Free software is also available enabling radio and serial communication to PCs, this includes the flexible PIPELINE package that features Datalogging from a single indicator or the MULTISCALE which allows up to 20 virtual Juniors to be displayed using long range radio comminications. More details and prices are available upon request. As the Junior is designed and manufactured in the UK full product support is assured. The type approved version can be verified up to 6000 divisions and supports up to 8 load-cells and comes complete with RS232C as standard.